Lifescapes designed the entirety of the landscape environment, including the legendary mountain, which became a fire and water volcano. 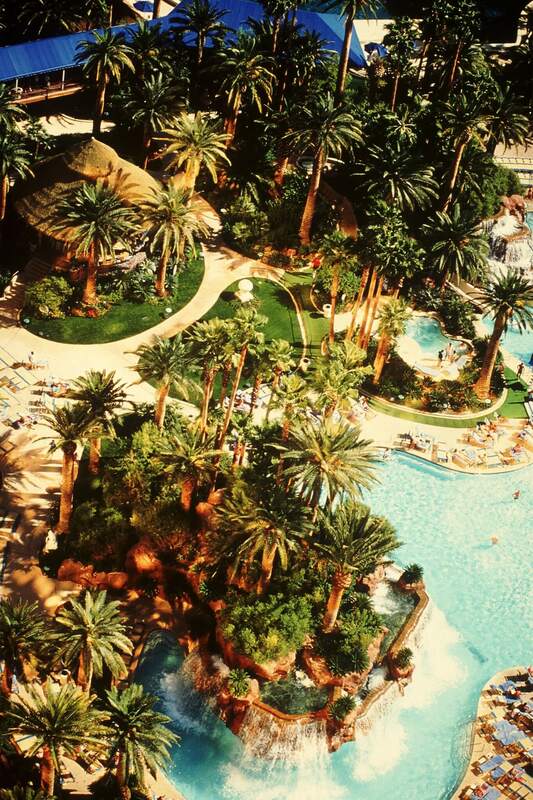 Steve Wynn, who had the vision of designing a tropical, South Seas oasis in the middle of a harsh, barren desert, called iconic volcano the real billboard for the hotel. 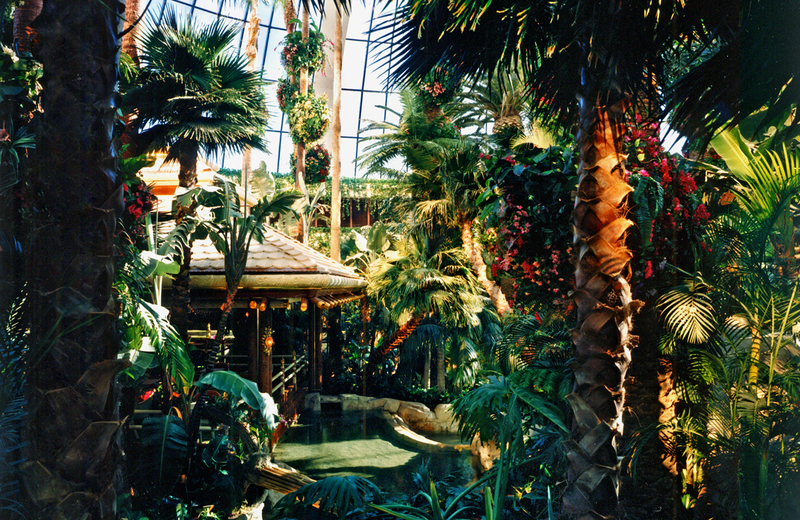 Other impressive landscaped amenities include the interior conservatory atrium, known as the “rain forest,” which features a combination of real, artificial and preserved plant materials with a myriad of waterfalls, lakes and streams that meander through the gardens; The Dolphin Habitat, Siegfried and Roy’s Secret Garden and the White Tiger Habitat. The Mirage opened in 1989, as the first casino/resort in Las Vegas in 16 years, paving the way for billions of dollars in development along the Strip.